Available seven days a week, we respond quickly and professionally to guest and homeowner needs and provide all guests with our after-hours emergency number. From reservation inquiries to secure, online booking; from check-in to repair calls; from concierge services to housekeeping and inspections; our staff takes care of guests and vacation properties 24 hours a day. We live here, participate in our community, and support tourism efforts by promoting local events, holidays, and seasonal opportunities to our guests year-round via e-mail campaigns. We make sure to stay in touch so that our rich customer base of thousands of guests return year after year and refer us friends and family. We know internet marketing! We know search engine optimization! 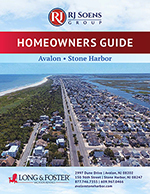 Our website, avalonstoneharbor.com, is attractive, easy to use, and up to date. We manage email marketing to past guests, social media marketing, listing sites, and a variety of other internet marketing strategies that will lead browsers to our website and to book our properties. Print, internet, email blasts, Facebook and Twitter, pre-arrival and post-vacation emails, guest surveys, contests, television shows, shoulder-season promotions and rentals, brochures, and rack cards…we are hospitality experts who promote the area and your property! In person, over the phone, or online – whether paying by check or credit card – we make it easy to book your property in a secure, professional environment. Rental and refund policies are clear and reasonable. We offer professional maintenance services with a timely response to maintenance problems and after-hours requests for emergency services seven days a week. We use reliable vendors who are qualified to handle practically any situation, at fair prices. We also offer a program to cover accidental damage. We keep the records – from revenues to repairs, from lodging tax to 1099s – you’ll receive professional, monthly accounting of what is happening at your property. We offer online owner access so information is available anytime, from any computer. Homeowners can review account information, rentals and revenues, make owner holds, and more. We let you know what’s happening – from property repairs and marketing initiatives to local issues and industry standards. As your agent, we are primarily accountable to you, the property owner. All guests are required to sign a detailed rental agreement, and review the policies. We maintain relationships with local officials and agencies – from tourism boards to the police, from City Council to the Chamber. With your best interests in mind, we advocate for clean, attractive beaches and waterways, and we participate in our Chambers, Tourism Boards, Planning Commissions and other local and tourism related organizations. We sponsor and volunteer for local events and initiatives that have a positive impact on tourism.